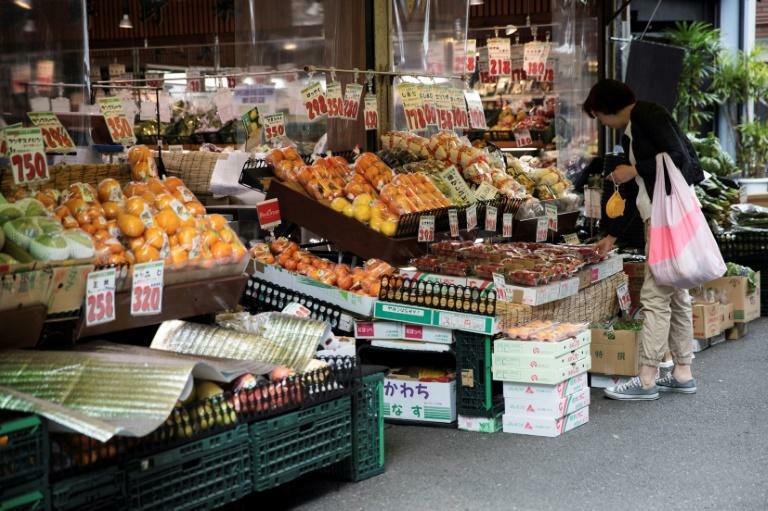 Prices in Japan edged up only marginally in July, according to government data on Friday, as the world's third-largest economy showed little sign of winning its battle with deflation. Inflation stood at 0.8 percent year-on-year in July, unchanged from the previous month and still far below the Bank of Japan's two-percent target. With fresh food and energy stripped out, prices rose by even less -- just 0.3 percent year-on-year in July, the internal affairs ministry said. Japan has battled deflation for many years but the central bank's ultra-loose monetary policy appears to be having limited impact. The Bank of Japan (BoJ) has signalled it has no plans to drop its policy, despite tightening moves in other major economies. Deflation is bad for the economy partly because the expectation of falling prices discourages spending and dampens growth. The latest data come after the BoJ revised its inflation forecasts late last month, making only minor tweaks to a monetary policy that has so far failed to lift prices and boost the Japanese economy.